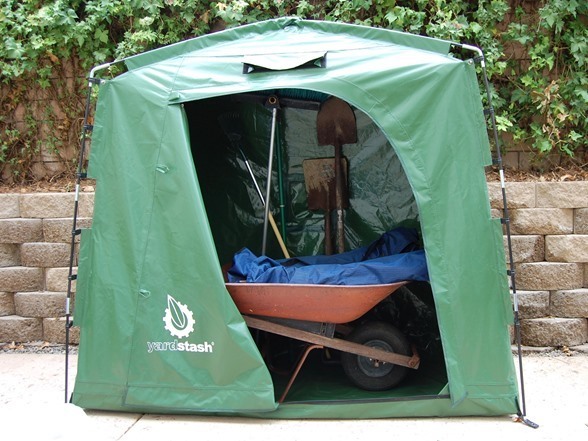 More affordable, versatile and portable than similarly sized plastic, wood and metal sheds, the new YardStash IV is built entirely of weatherproof, tear proof and UV proof industrial grade vinyl tarpaulin for year round outdoor storage that will stand up to the most extreme conditions. 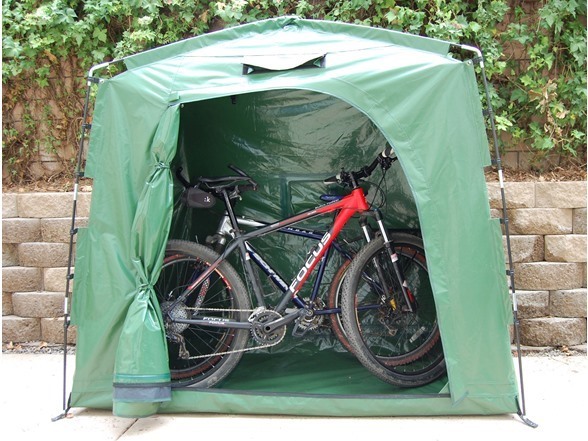 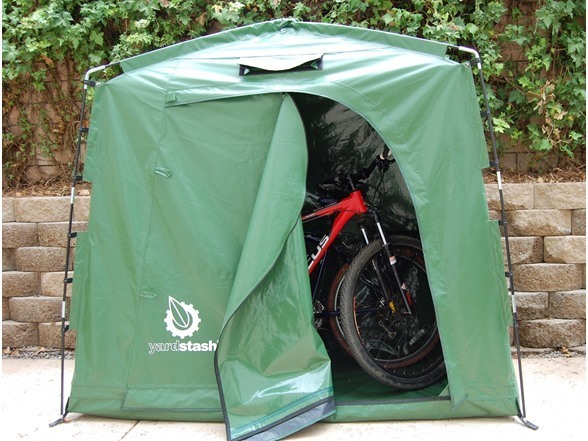 The space-saving footprint fits perfectly in tight spaces but is large enough to stash two adult bicycles, outdoor equipment, garden tools, pool toys, patio furniture and other outdoor stuff. 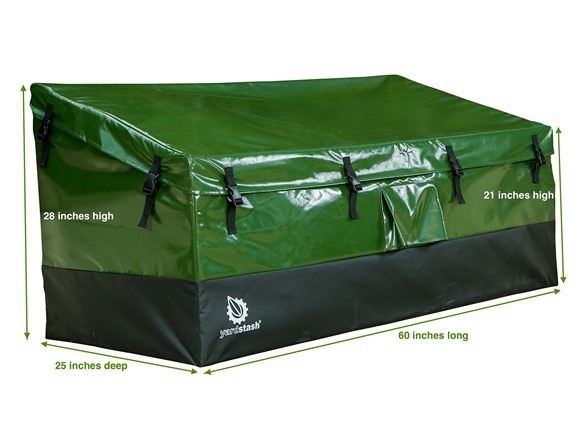 Purchase with confidence - the YardStash IV is constructed from high quality materials and guaranteed to last. 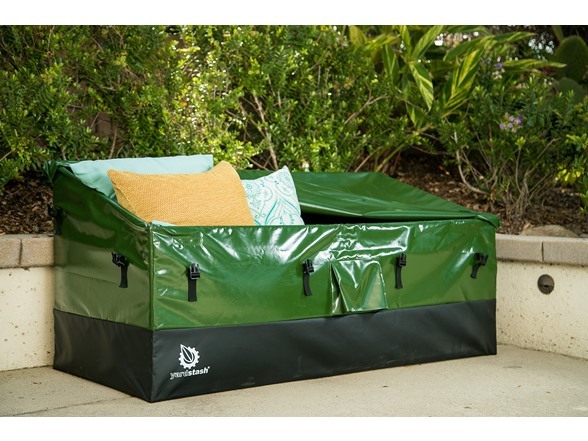 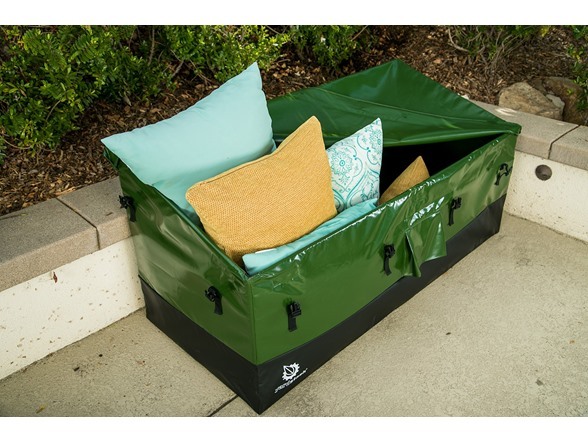 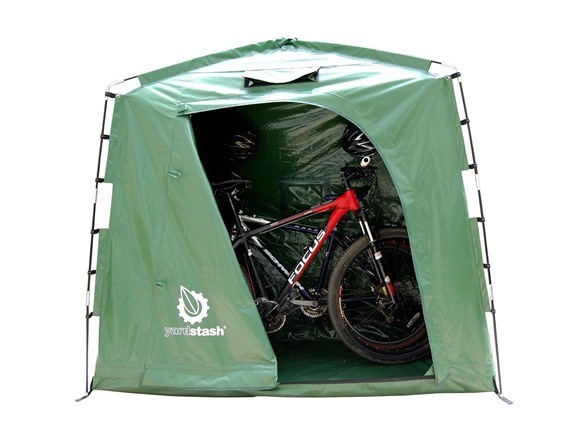 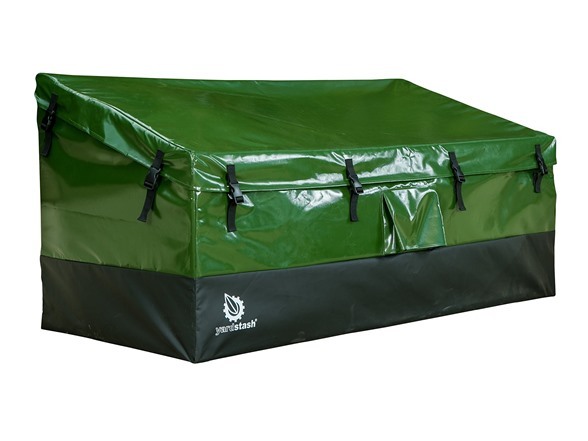 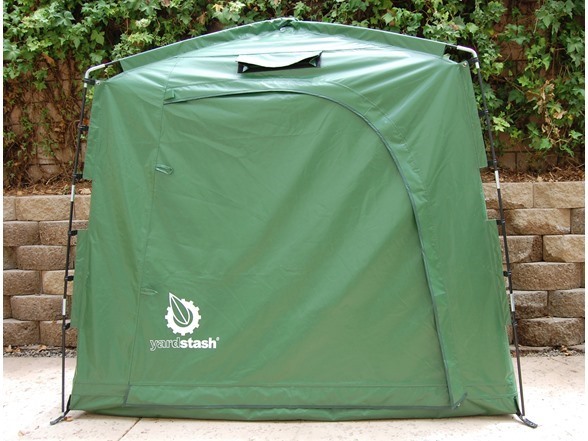 Constructed entirely of thick, heavy duty, weatherproof, tear proof, and UV fade proof vinyl tarpaulin, the YardStash IV will stand up to Mother Nature and keep your stuff dry – guaranteed. 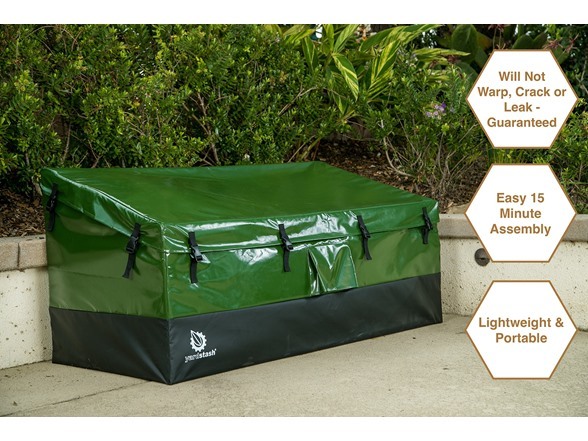 Beware of cheap imitations! 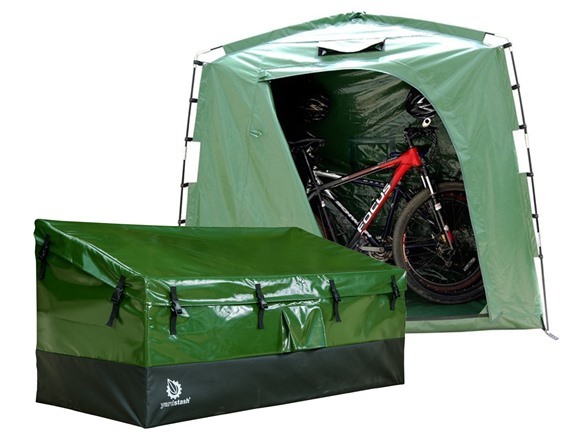 Space-saving footprint (74 inches wide x 32 inches deep x 68 inches high, fits two adult bikes with room to spare) with integrated floor to stash hard to store stuff like long handled garden tools, furniture cushions, bicycles, lawnmowers, coolers, pool toys & more. 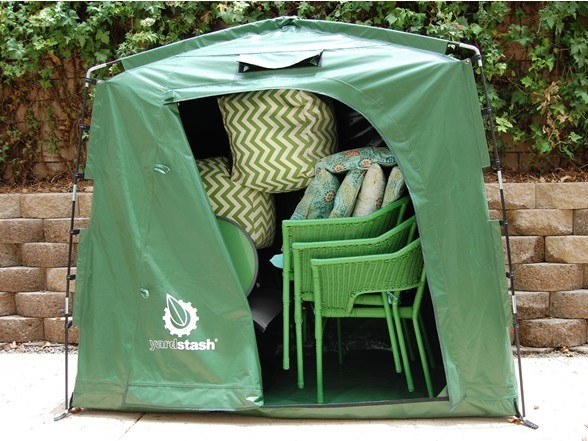 Quick & easy set-up and take down (less than 10 minutes and no tools required) for convenient and portable multi-purpose storage. 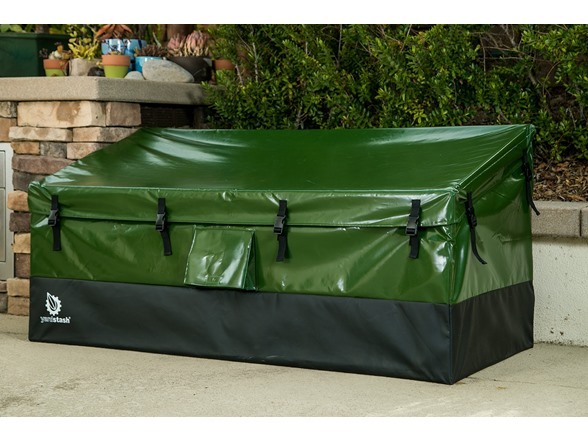 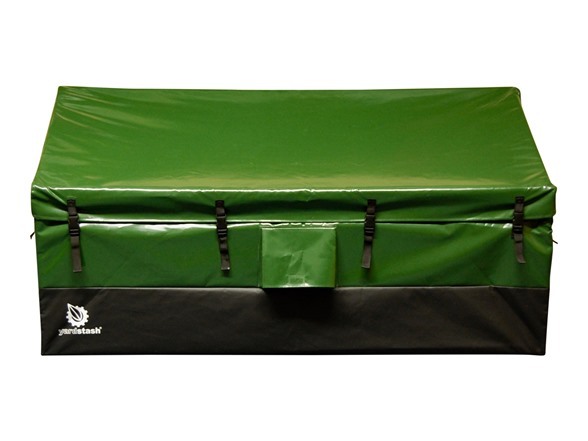 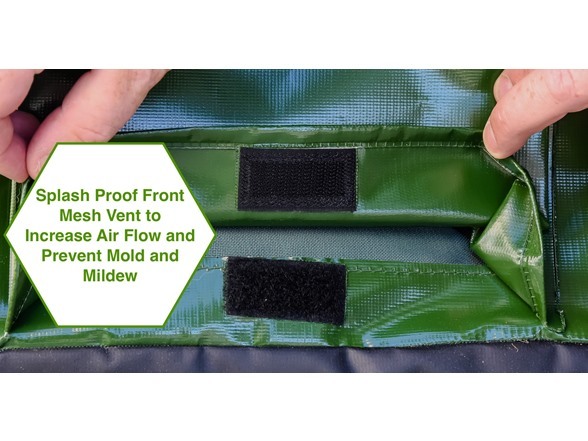 Rugged large rubber tabbed top and bottom zippers with storm flaps for easy access and full protection against water, dust, and pests.